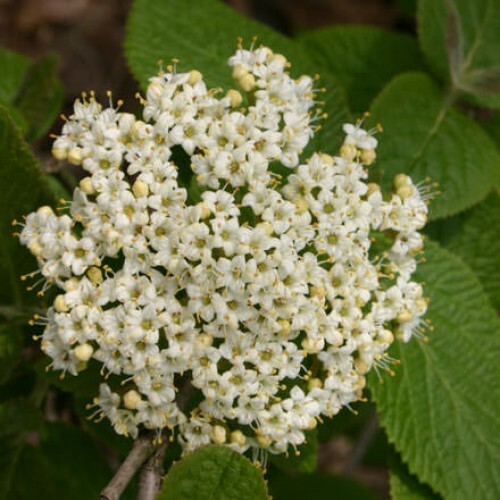 This selection of Viburnum was found along a fence row in southern Michigan. 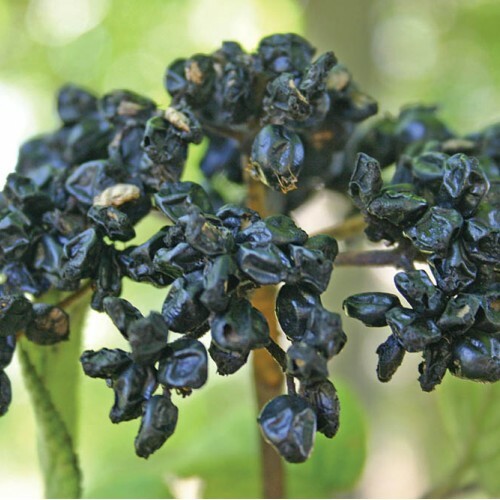 The large clusters of black fruit are produced on long branches from a central trunk. The fruit is small but is sweet and raisin like but not much pulp. 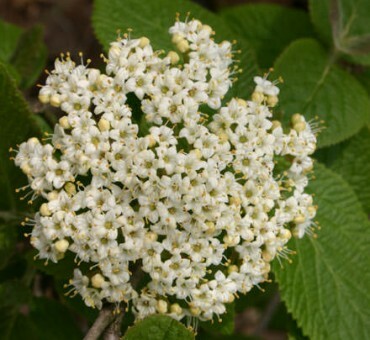 Sweet spicy fragrant flowers are produced in May. Tolerant to shade and will grow in a variety of soils.